How Technology is Impacting Both the Real Estate and Mortgage Sectors - Berkery, Noyes & Co., LLC. There are five key trends that are currently impacting both the real estate and mortgage sectors: (1) additional compliance expense for vendors; (2) a constricted mortgage market; (3) the convergence of real estate and mortgage technology; (4) acquisition or creation of products; and (5) acquisition or organic growth of customers. One of the most recent regulations coming into effect is TILA-RESPA Integrated Disclosure (TRID). It is also sometimes referred to as the “Know Before You Owe” rule. Under TRID home buyers will use two new forms that aim to provide a more detailed amount of the loan, as well as additional time to review the associated costs of the mortgage.2 Although one of the goals is to promote accuracy and transparency, this could result in a delayed closing process if the required paperwork is not managed properly. Moreover lenders have to be concerned with increased operational costs. Looking back at some other regulations, Title XIV of the Dodd-Frank Act is specifically targeted to mortgage originators. Among several provisions, it authorizes the Consumer Financial Protection Bureau (CFPB) to more stringently enforce the Truth in Lending Act (TILA) and Real Estate Settlement Procedures Act (RESPA). With these regulations, lenders are faced with meeting extra minimum standards before issuing residential mortgage loans, including those that are deemed to be high cost. They are likewise tasked with making a “reasonable and good faith determination” that the borrower has the ability to repay the loan prior to issuance. This could play a role in originators seeking more integrated end-to-end offerings from technology vendors in order to help ensure compliance and streamline the originations process. Meanwhile, given that demand continues to outpace supply in many areas, mortgage originators are looking for tools to shorten processing times, better manage sales leads and bolster customer retention rates when dealing with repeat homeowners. Mortgage technology vendors and outsourcers offering solutions that provide better quality control, promote process efficiencies, facilitate borrower communication and improve regulatory compliance are the ones most in demand by investors and acquirers. We are also witnessing acquirers enter into M&A transactions in order to acquire products to round-out their solutions suite, and also to acquire customers and market share. As investors and acquirers take a long-term perspective in assessing acquisition opportunities, it has become clear that the market views these solutions as fulfilling a more permanent need in the industry. There are several significant drivers impacting the evolution of mortgage technology. This includes restoring consumer confidence, decreasing the volume of delinquent loans, stabilizing the debt markets and adhering to new regulatory guidelines. New database technologies are improving the ability of debt servicers to assemble disparate pieces of information about consumers, making it easier and more cost-efficient to locate and contact them. Mortgage servicers are also experiencing greater demand for more targeted and frequent borrower communication, including email, text messaging and more complex print/mail offerings. Innovations have aided lenders and debt servicers in the ability to obtain, store and transfer data about consumers and their debts. When licensing technology or subscribing to third-party technology is not an option, outsourcing business processes has become a viable solution and growing trend. Each of the trends discussed above are leading to both innovation and consolidation in the market. The real estate and mortgage sectors are still highly fragmented, and further consolidation over the next several years is inevitable. Many industry participants will seek economies of scale, critical mass and need to have additional product offerings to enhance their competitive advantage. Lenders, vendors, and servicers will continue to embrace tactical acquisitions to shore up product lines, capture customers, increase market share, and ensure they are prepared for the next wave of mortgage originations. 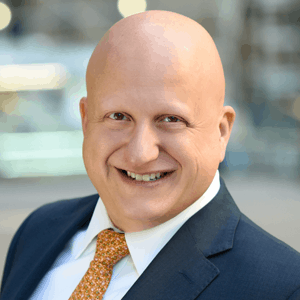 John Guzzo is a managing director in the Financial Technology Group at Berkery Noyes. He has worked on over 80 M&A transactions during his career, representing more than $3 billion in value. John received his MBA from Columbia Business School. He has successfully closed numerous M&A transactions in the mortgage and real estate technology services sectors. Wallace, Lorne, Welsh Lon, & Murray, Steve. Game Changers: The Unfounded Fears and Future Prosperity of the Residential Real Estate Industry. REAL Trends, Inc. and Your Castle Real State. pp 8-15. 2014. Print.